A mystical land where the planets really do revolve around the Earth, the power of the four elements is tangible, and good must fight to prevent the spread of evil. 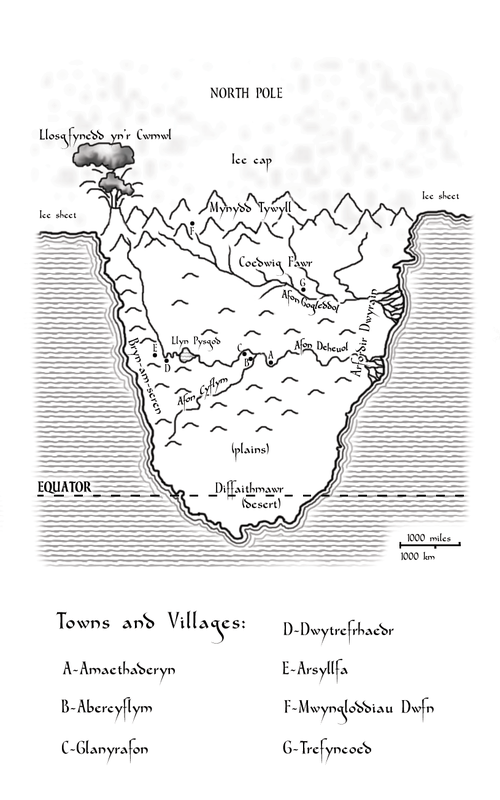 This is the world of Gwlad, the Land. The “old tongue” used by the people of the Land is derived from Celtic languages such as Welsh. General guidelines on pronunciation are as follows. “ll” does not occur in English, in the glossary it is written as “LL”. The sound is made by partly opening the mouth, pressing the tongue against the roof of the mouth and blowing gently. “dd”, written as “TH” in the glossary, is the hard th sound in “this” and “that” but not as in “path”. “a” is always as in “cat” and not as in “ape”. “e” is always as in “pet”. “f” is the v in “van” while “ff” is the f in “fan”. “c” is always the hard “k” sound in “kid”. “ch” is similar to ck and pronounced as in the Scottish “loch” and not the English “church”. “g” is always hard as in “god” and not as in “german”. “o” is like in “on” but not “open”. “i” and “u” are pronounced “ee”. “si” is between the sh in “shone” and the j of “john”. “w” is oo as in “cool”. “y” is sometimes the u sound in “run”, sometimes the i in “bin” and occasionally the ee sound in “been”. “ae”, “ai”, “au” and “ei” are all pronounced “eye”. “eu” is the oy in “boy”. Cemegwr (Creators, chemists) are the makers of everything. Daear (Earth) is at the centre of the universe and Gwlad (The Land) is the occupied continent on Daear. Lleuad (the Moon) is the 1st ‘planet’ from the Earth in the geo-centric system, followed by Mercher (Mercury) then Gwener (Venus), Haul (the Sun), Mawrth (Mars), Iau (Jupiter) and Sadwrn (Saturn). Other notable bodies in the sky include the Pole star Seren Gogledd (north star) and comets Draig tân (Fiery dragon). 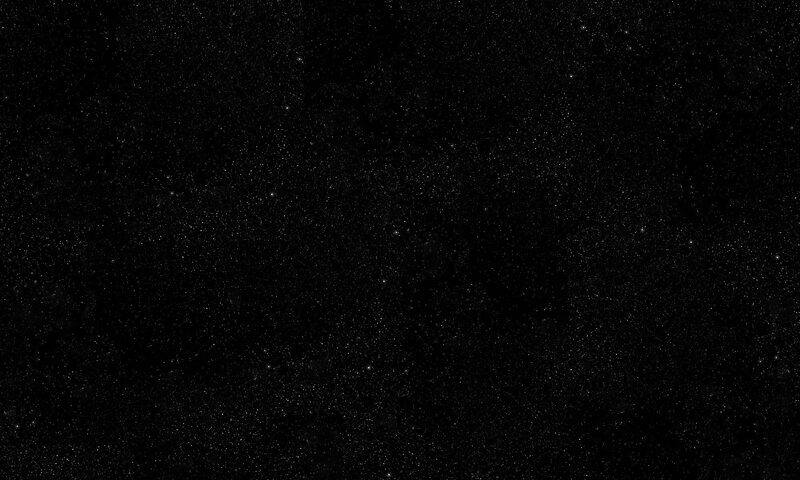 plwm (lead) from Sadwrn (Saturn). 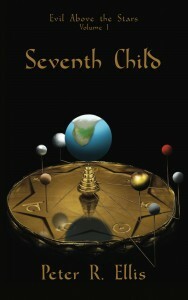 The first volume Seventh Child was published by Elsewhen Press on 2nd January 2015. September Weekes is accustomed to teasing and bullying because of her white hair, tubby figure and silly name, but the discovery of a clear, smooth stone at her home casts her into a struggle between good and evil that will present her with sterner challenges. The stone takes her to Gwlad, the Land, where the people hail her as the Cludydd o Maengolauseren, the bearer of the starstone, with the power to defend them against the evil known as the Malevolence. September meets the leader of the people and the bearers of the seven metals linked to the seven ‘planets’. Each metal gives the bearer specialised powers to resist the manifestations of the Malevolence; manifestations such as the comets known as Draig tân, fire dragons. She returns home troubled, wondering if she will be called to Gwlad again. 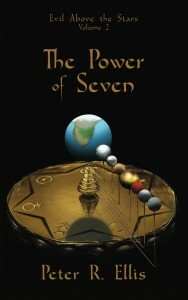 The second volume The Power of Seven was published by Elsewhen Press on 30th January 2015. 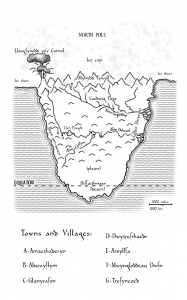 The starstone took September Weekes to Gwlad, where she was hailed as defender of the land. Now, having arrived in the stronghold of Arsyllfa she must work with the Council of Gwlad in order to fulfill that destiny. But she must defeat Malice, the force behind the Malevolence. Will she be strong enough; and, if not, to whom can she turn for help? 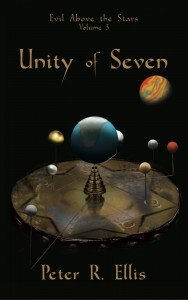 The third volume Unity of Seven was published by Elsewhen Press on 2nd January 2016. September is home, back to school studies and bullies. Now without the Maengolauseren, she worries about the people of Gwlad and what happened to Malice. Is Malice inside her? Could she turn to evil? To return to Gwlad she takes a journey in time and space, must overcome her fears, accept an extraordinary future and face the evil above the stars. September Weekes returns in the September Weekes novels, the first of which, Cold Fire, was published by Elsewhen Press on 4th August 2017.